Whether it’s a seaside stroll, some retail therapy, or just catching up on the soaps; a change of scenery can do the world of good for carers and the person being supported too. 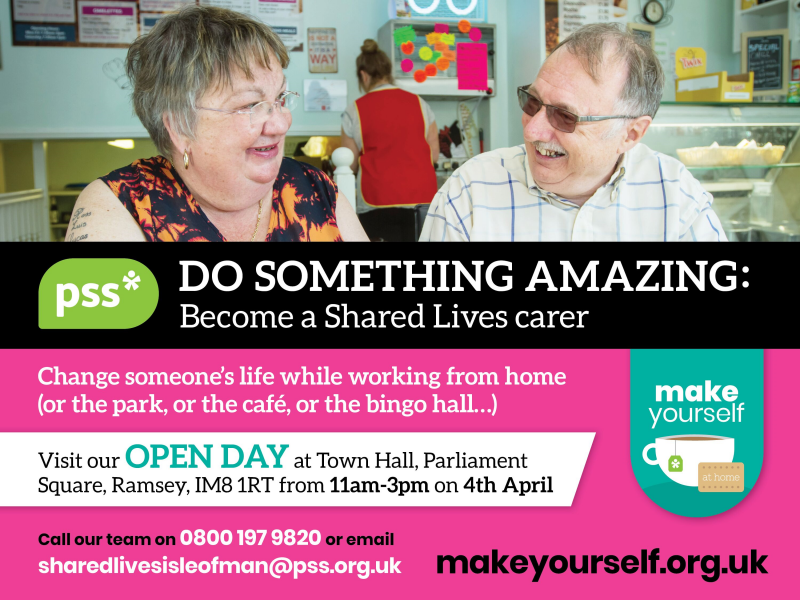 PSS Shared Lives carers are amazing, yet ordinary people who open up their homes and their hearts to people with learning and physical disabilities, mental health needs and/or other complex needs. For full-time carers, like you, they can provide short breaks with the person you care for, spending their days how they choose to; in the park, or the café, or the bingo hall or at home. The main thing is, they’re getting out and about, making new friends and gaining some confidence, whilst you get some well-deserved me time! We’d like to invite you for a cuppa and a chat with Sarah from our Shared Lives team, to find out if Shared Lives is a good option for you.